A huge blow has been suffered by one of the sides who is to be involved in the Premier League derby game on Sunday afternoon. Arsenal will be locking horns with Manchester City at the Etihad this weekend and it is a pity that the to-be visitors have lost a key man for the rest of the season. 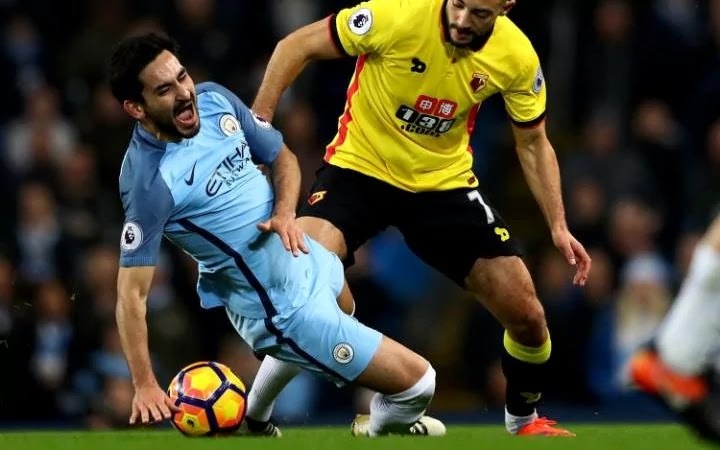 IIlkay Gundogan damaged his anterior cruciate ligament in his side's 2-0 win over Watford on Wednesday. Diagnosis have shown that the German international has sustained a very scary injury which is expected to keep him out of action for at least nine months. The loss of Gundogan will come as a big blow for Pep Guardiola being that he still has a number of his key players suspended for the visit to the Emirates Stadium.